Courtesy of Keller Williams-Carmel Valley, Mandy Fu. Great Location!!! Lovely single story home in highly desirable neighborhood Encinitas, nice lot size and well maintained front yard and backyard. Beautiful structure with 3 bedrooms + 1 office(could be 4th bedroom), 2 full bath. Feature: High Ceiling with Milgard dual panel windows, shutters, attic storage, ceramic tile and carpet floors, fresh exterior painting. 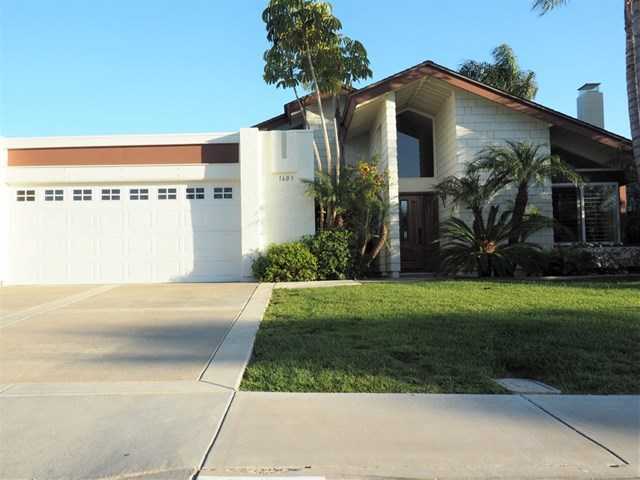 Minutes drive to famous Moonlight Beach, walking distance to shopping, dining, golfing….. No HOA or Mello-Roos. Potential to build 2nd floor.